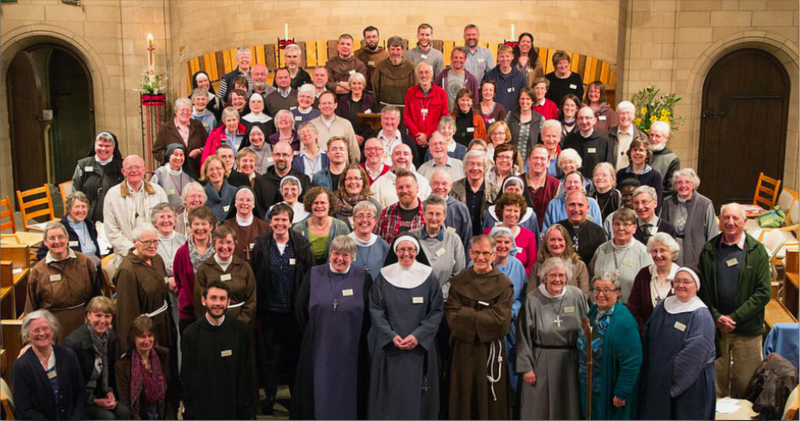 The Religious Life in our Church: a new renaissance? It seems that for the first time in a number of decades the Religious Life in our Church may be on the verge of experiencing a new Renaissance. I thought it might perhaps be the time to review these trends and seek to discover, as my title suggests, some trends among the truths and truths among the trends. Before I do this, it would perhaps be useful just to look back on the first revival in our Church of the Religious Life in the Nineteenth Century; not to get stuck in past history, but just to see how we have got to this point in our tradition. In many ways these are known facts; but they point to certain trends and truths that colour our current situation. The Tractarian Movement saw a huge flowering of Religious communities, largely of women, from the period 1840 to 1870. These were frequently the initiative of a single charismatic figure and met a specific pastoral need or situation. John Mason Neale and the Society of St Margaret, for example, who only achieved general acceptance after their heroic work among the sick in the midst of a cholera epidemic, were parish sisters and teachers. Such sisterhoods are often still with us and many “famous names” come from this period (Wantage, The Sisters of the Church, the St Margaret Sisters, to name but a few). It was only in the so-called “second wave” (1870-1900) that men’s communities started to emerge and then frequently also with a key “founding father” and more often than not to meet a pastoral need (often parochial and mission-centred). Their numbers were fewer and their survival equally limited; but the community at Alton, the Society of the Sacred Mission and the Mirfield Fathers date from this period and remain a powerful link to those early days of revival. It is too easy in these days of ecumenical closeness to forget how very anti-Roman these islands were generally in the Nineteenth Century; so that those early communities were marked by a decided “un-Roman” atmosphere even if the models used, especially in the women’s communities, more often than not have a Roman precedent. So it is that we have nearly all the pre-Reformation models revived in some form or other in the Church of England. It was only after the Twentieth Century began that changes occurred; communities that were either specifically founded to be enclosed or contemplative or changed their ethos entirely to become so. Perhaps the most notable of these is the Community of the Holy Cross at Costock who are today enclosed Benedictine nuns, but began their life as active parish sisters founded by John Mason Neale’s sister, Elizabeth. Into this change of atmosphere and intent came the more enclosed communities of men too, many of whom, like their female counter-parts, looked to Roman precedents and examples in the movement that became known as Anglo-Catholicism and in its most pro-Roman form, Anglo-Papalism (one of whose key leaders was our own brother, Wilfred Knox). This had great influence from around 1900 to about 1960 and among some of its lasting fruits were the Malines Conversations in Belgium in the 1920s that laid some of the foundations for modern ecumenism. Perhaps, in community terms, its richest flowering was the male Benedictine community at Nashdom, whose life and practice was largely indistinguishable from that of a modern Roman Catholic house from mainland Europe, even with Latin used for all its worship. Strangely, for the Church of England , its last flowering in terms of numbers in community was the period immediately after the Second World War up to the 1960s, especially in the men’s communities. A generation of men disaffected by what they had experienced, in some cases, twice in a life-time led to them seeking another way to live their Christian calling. The women’s active communities too were to have their last great upsurge in vocations in this post-war period before so much of their active work disappeared from their hands in the age of the Welfare State. It is seemingly bizarre to relate that there were more Religious in this land in Anglican communities in 1960 than there had been in the Religious houses dissolved by Henry VIII in the Sixteenth Century; this was in part due to the large number of houses that never recovered their numbers after the Black Death in the Fourteenth Century; but the figure is still quite note-worthy. Into this mixture, of course, comes the Oratory of the Good Shepherd. We were not only founded in 1913 but in the very same week that the ultra-Montane, pro-Roman male Benedictine community at Caldey Island decided to leave to become Roman Catholics. I wish neither to over-stress nor to underplay the influence that event had on the foundation and development of the Oratory in those early years; suffice to say it might have played some part in the very Anglican, “sui generis”, nature of our community at a time when anything remotely Roman was seen as suspect, even in Anglo-Catholic circles. Few events in the history of the Catholic revival in the Church of England had such seismic effect on the Church as a whole and still had a strong influence on bishops suspicious of anything “catholic” for many years to come. Its effect now has been lost as other events in Europe were to overtake this last just a year later; but it is said that Lord Halifax (the acknowledged lay leader of the movement) never fully recovered from the shock. Was it possible that the Church of England was not able to find an honoured place for the Religious Life? Into this crisis the Oratory emerged; small, discrete, under-stated and, may I say, very English! The Founding Fathers looked (officially anyway) to no specific pre-Reformation precedent for our life and for those who have spent a century or more debating one, the search is surely in vain! It may be rather unfashionable in some quarters within the Oratory of our day to look back at our origins, but it remains a simple fact that they chose a very Anglican figure in Blessed Nicholas Ferrar to be our Patron. So it is perhaps only in seeking what we clearly are rather than what we are not that we find the confidence to promote ourselves for the new Renaissance that is currently touching our Church. But more of that later. If that great flowering in the Religious Life came even before I was born; what of the tremendous fading away that has so preoccupied religious communities for all of the twenty six years that I have been a member of the Oratory? Even though it must be said , for us, our greatest expansion in numbers bucked certain trends and came as late as the last twenty years; though few of them now have remained. The subject is complex and broad and for every trend and truth, one can inevitably find a counter-argument. But I might suggest some here; not to wave a particular flag or make a particular judgement…but simply to point the way to where renaissance might be born. It is difficult for most of us now alive to remember either clearly (or at all) the earth-changing (or shattering) effect that the 1960s movements both within society and the Church had on all Christians, and perhaps even more so on Religious communities. It was not just Liturgical change that unsettled (though it certainly did), but a change within the very ethos of the life of the Church. Much of that came into sharp focus through the Second Vatican Council of the early 1960s; but those influences merely mirrored movements within our own Anglican tradition, starting some decades earlier with the Parish Communion Movement and the 1928 Lambeth Conference’s acceptance of artificial methods of family planning. For many Anglican Religious, however, the first half of the twentieth century had seen an increasing mirroring (even an aping) of Roman ideals and practices to a greater or lesser extent so that by 1960 many Anglican communities looked and sounded as Roman as Rome; or more so! But when that pole-star seemed to shift, there was inevitably confusion, defections, bitterness and a loss of confidence. By 1970 the stampede was on…and for some communities it has never stopped; and even many famous names have now gone for good (Cowley, Clewer, Nashdom, Kelham to name but a few). For women’s communities the cocktail of change was particularly heady; the Welfare State now undertook many of those tasks for which many of them had been originally founded and, of course, the eventual fulfilment of the movement for the ordination of women within our Church (warmly heralded by many but lamented by others) opened new forms and opportunities for vocation to women that until our time had not been much available outside the cloister; if at all. For all communities, the so-called sexual revolution of the 1960s onwards led many to reassess whether their natural inclination towards same-gender attraction, which hitherto inevitably (and legally) necessitated an embrace of a celibate lifestyle if not vocation, need not now always lead them to such a calling. Do not misunderstand me in any way; by no means does everyone who feels the God-given call to celibacy necessarily do so because of such a same-gender attraction but I think we are now all grown-up enough to realise that this has been and still is the case with some (even many) who successfully embrace the call of the cloister, in whatever form. With other “tolerated”, if not officially sanctioned, choices available to those who felt such a natural inclination, the celibate vocation lost part of its appeal and , dare I say, its honoured position in the Church. Whatever you do, make the option of consecrated celibacy both a real and honoured option in the life of our Church. Christ Himself was a celibate, after all. What might be termed, the “cult” of the heterosexual family in the day to day life of the Church, to the exclusion of every other option, can be alienating and unwelcoming. We are all called to be “Friend” by Jesus; not family…it is quite sobering to look afresh at the New Testament and really see how the Early Christians were called to live…socially, pastorally and so on. If all we offer as a Church is a model that some cannot share in (that is the “family”), it is small wonder that those with same-gender attraction feel pushed…either out of the Church completely …or to seek for themselves such a similar life with those whom they are by nature attracted to physically; and then, of course, the Church cannot really cope! But I digress! The trends of earlier decades have not stopped. For very many who, in good conscience sought a particular “traditional” form of the Anglo-Catholic or Papalist route to corporate physical Church unity, the last thirty years or so of profound change within our Church have led to a further steady flow to Rome and inevitably this has included many members of Religious communities, including our own. But, and it is a saving but; there are trends to show that things are changing and a renaissance is happening. Not always in the ways we might think…or wish…but renewal is happening. And it is happening sometimes in ways that are a return to the very beginnings. So it is that particular communities are being founded to meet a particular pastoral situation (such as the Order of the Black Sheep and their work with the marginalised and the homeless in Chesterfield) as well as those that are based in specific parochial settings as with the neo-Benedictine community in Abergavenny and the Companions of Martha and Mary in Blackburn. The well-trumpeted endeavour by our Archbishop in the new Community of St Anselm at Lambeth also strikes a chord; but to me it also fulfils some of the difficulties in the trends which I am rehearsing. There we see a group of young, gifted and able people who are called to make a promise for a year. There is also a call to be chaste in that year; but not necessarily any encouragement to discern a celibate vocation. It is clearly a good thing and is it doubtless admirable. It is a pity, though, that their tremendously high profile cannot be shared in or emulated by more traditional communities. Of course, there are those have their “alongsider” programmes but this is possibly not yet well-known or wide-spread enough. Of course, for years, the Oratory’s only form of promotion was either word of mouth or the occasional leaflet in our Theological Colleges. We are now fewer and therefore less visible; and many candidates for ordination are generally older and often set in their life style choices long before they start their training. We can now even see an gentle upsurge in interest in the more enclosed forms of the religious life (usually with women) but more often than not at a later stage in the life of the aspirant; possibly after becoming a widow or even after a divorce . And we cannot but realise that the greatest growth in interest in the religious life is seen by those who wish to live a life of consecration in their daily lives either in the Single Consecrated Life or, more typically, as Oblates, Associates or Companions; and the Oratory is certainly no exception. But sometimes even now is seems that it might be too little too late even for those communities who were once very numerous. Those communities that seem to continue to die are those which seem to have not been able to “redefine” themselves or seek new work if they are “actives” or have just fallen back to the “mother house” to die. So these are some of the trends; but where are the truths? Perhaps as more traditional communities we have deeper questions to ask; not so much why the vocations have been less forth-coming in recent years…but rather what we feel we have to say and offer to the young (and the less young) potential aspirant in their culture and generation? The world is always changing…but the past half century or so has seen it change in ways that we quite unimaginable to our founders back in 1913. Some of these trends perhaps make us uncomfortable to discover, yet alone discuss! But if we are to survive in any real sense and contribute fully in the future of our Church they need, I believe, to be addressed. The trend for approaching a vocation later in life is often born of a number of issues; the remarkably longer life-expectancy of this generation; an unwillingness even to contemplate a commitment to anything for a period of years, yet alone life; an unwillingness to be associated with anything that has no outward sense of authenticity or credibility in its own raison d’être; and perhaps most alarmingly of all, a simple lack of knowledge even of the existence of our life within the Church of England as so many Religious of all sorts have continued to withdraw both literally and metaphorically from the life of our Church. What does the Oratory life offer today ? Our dear departed brother, David Jowitt, addressed this in 1980 during his time as Superior: He said, “ We offer three things principally. A Rule which is not only a personal strength but a bond between us all. A Fellowship, experienced in meeting in College and General Chapters, in visiting, in letter writing, and in daily intercession. This still appears to be our gift to the Church. The years of debating what we are or might be is surely quite irrelevant in many ways. We are, without doubt, brothers in a Society of prayer and fellowship. In a year when we have admitted two young brothers (to Probation and Postulancy) into this fellowship perhaps it is sobering to ask what truths do we offer as our trend within this renaissance. This very term probationer was used by Ignatius Loyola for another Society of Prayer and Fellowship, The Society of Jesus (Jesuits). We, like them, are men under Rule (Clerks or Clerics Regular) dedicated, in our case, to follow Jesus the Good Shepherd where he leads us. Indeed, our departed brother George Braund liked to describe himself as an Anglican Jesuit! Do we, as brethren, regard what we are as a treasure beyond price that is a gift to our Church in our day; or have we perhaps too often got stuck in the trend that says we should just batten down the hatches and pray that the Church gets better again? There is much, I suggest, that is our gift to the Church and I wish to end…before we open for discussion…with just a few personal thoughts. The current trend in growth of new forms of the religious life and the laity living under Rule is both encouraging and, in part, concerning. The major truth of the religious life is the calling to life-long committed celibacy. That is a Gospel truth and one that we abandon or down-play at our peril. As celibates, I believe, we still have something profound to say to the Church of today about the call to discipleship. Newer forms of religious life clearly have much to commend them; but our distinctive Charism is our celibate vocation. That is neither a higher nor a better calling than the married state; but it is a Gospel Charism that the Church risks losing at its peril. In the Ecumenical dialogues with the Orthodox Churches in the 1960s Archbishop Ramsey was reminded that we were regarded as a “Church” because we had the religious life. Watering or dumbing down of a traditional religious life does not make us look more relevant to this generation; it simply makes us look as if we have lost confidence in who we primarily are. We must rejoice afresh in what God has called each of us to be and be seen to rejoice in it. The days of the Oratory living the rather diffident “hidden” life must be over; or else before many more years we will have joined that sadly endless list of communities whose work on earth is done. and perhaps above all as men for whom a celibate call is one of freedom and joy rather than one of necessity and denial; “free to love Christ and our brethren and so free to love all people for His sake”. This is, I believe, the unique and vital gift that the Oratory of the Good Shepherd has been, is now and we pray with God’s grace will continue to be for many more years to come.